Searching for a great way to get consumers to remember you at your next trade show event? Our high-quality trade show coasters are the perfect way to ensure that your product or service will be recognized and remembered. When it comes to branding and product awareness, our trade show coasters offer you a cost-effective way to get the job done. There are a number of great ways you can put our trade show to work for you. Hand out your trade show coasters to promote your brand at the next trade show event. Use your trade show coasters to help generate brand recognition. In lieu of business cards, hand out trade show coasters with your contact information during your next trade show. 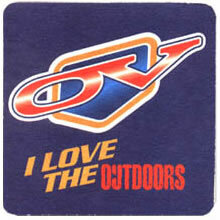 Our trade show coasters are a great way to set yourself apart from the competition during any trade show.